Top 10 Health Benefits of Carrots - The Cruncy Superfood. Forget about Vitamin A pills. With this orange crunchy superfood, you get Vitamin A and a host of other powerful health benefits including beautiful skin, cancer prevention, and anti- aging. Read how to get maximum benefits from this amazing vegetable. Western culture’s understanding of carrots being ‘good for the eyes’ is one of the few we got right. Carrots are rich in beta-carotene, which is converted into vitamin A in the liver. Vitamin A is transformed in the retina, to rhodopsin, a purple pigment necessary for night vision. The high levels beta-carotene act as an antioxidant to cell damage done to the body through regular metabolism. It help slows down the aging of cells. Vitamin A and antioxidants protects the skin from sun damage. Deficiencies of vitamin A cause dryness to the skin, hair and nails. Vitamin prevents premature wrinkling, acne, dry skin, pigmentation, blemishes, uneven skin tone. Known by herbalists to prevent infection. They can be used on cuts shredded raw or boiled and mashed. Carrots are used as an inexpensive and very convenient facial mask. Just mix grated carrot with a bit of honey. See full recipe at carrot face mask. The regular consumption of carrots also reduces cholesterol levels because the soluble fibers in carrots binding with bile acids. Vitamin A assists the liver in flushing out the toxins from the body. It reduces the bile and fat in the liver. The fibres present in carrots help clean out the colon and hasten waste movement. It’s all in the crunch! Carrots clean your teeth and mouth. They scrape off plaque and food particles just like toothbrushes or tooth paste. Carrots stimulate gums and trigger a lot of saliva, which being alkaline, balances out the acid forming, cavity forming bacteria. The minerals in carrots prevent tooth damage. From all the above benefits it is no surprise that a Harvard University study, people who ate more than six carrots a week are less likely to suffer a stroke than those who ate only one carrot a month or more. Remember that a rabbit eating a single carrot is like us eating over twenty! They like the sweetness and carrots are good for their teeth and don’t have white sugar but even too too many natural sugars with cause digestive problems and diabetes. They probably would do better with the carrot tops. We would benefit from tops also but probably won’t eat them! You can see them at this link biggest carrot but they aren’t particularly pretty! Cooking the carrots in fat, oils or pureeing, juicing them increases the availability of carotenoids by 600%. Fats help the absorption of carotenoids into the blood by 1000% as carotenoids are fat soluble. Carrots with Arame Seaweed recipe for health. Carrots with Orange: A surprising but delightful combination….and its fast! Chili Con Vege: Here is Diana’s version of Chili filled with carrots. I read this article on Care2 but had a question. I juice carrots in my juicer, as you suggest— but also put them raw inside my blender along with an apple, walnuts, fruit, etc. and blend it. Does blending raw carrots in a blender count as puree, as you mention above? I also steam them, is that OK to get all the nutrients? Randy, the carrot mask recipe is something I will try soon. Diana, I tried your gingerbread cake recipe and it was a big hit. Thanks for your help, I’m rather new at this all. I’m a big fan of your Care2 articles. Haven’t had a chance yet to explore your website, but will soon. Thanks again. The ultra best carrot for your health is the purple carrot. It has more in it than an orange carrot. Good for high antioxidants. Good for lowering BP, Cholesterol and you will see it helped the couple cure themselves of Cancer. I guess too that you have to really have to be on the page and keen to give it a go and drop all the other stuff that can impinge badly on your body ie smoking, alcohol, junk foods and the like. Anyway I have eaten them and they taste great. Oh you gotta love Aussies for doing a YouTube. I actually saw this on my tv not that long ago. to Aussies!! Thanks Annie. Yes purple carrots DO have lots of benefits. I am particularly interested in them. We focused on orange since everyone has easy access and we wanted to encourage that but if people can find or grow purple – that is great. Helps with Diabetes too, however, I have learnt over many years that if you bring your blood pressure down, your cholesterol and triglycerides then everything including your Diabetes comes down too as well as eating well your weight comes down and that also helps but if purple carrot can do it all including helping you lose weight..bring it on! There is a list about Purple carrots and what you can do with it and what it helps with on the above site. Just look to the right of the home page. Yes Diana, Purple carrots are readily available here if you look. They are new at returning to the green grocers and supermarkets but if you ask for them Im sure they will bring them in. Cost… surprisingly not that bad but they are a kind of specialty thing so expect to pay a little bit more…. here in Melb Australia, we get a humungous bunch! Hi Phathu. Not sure what you are asking? Please clarify your questions. How many carrots can someone eat per day? please,how many carrots should i eat a day or week……..
Comment…Mr.Randy thanks for inlight ,e about the 10 Benefite of Carrot,then i want be you fnd. 5 cups daily of juicy carrots are safe to fight nodules or to prevent cancer or is it too much and unsafe ? Is it really safe to drink carrot juice everyday, plz comment. Some ppl say it can cause stone problem . Carrots are not high in oxalic acid. See this article that explains it. I would think drinking a freshly made vegetable juice with carrots in it would be a good way not to get stones. Carrots are source of vitamin benefits ,carrots contain Vitamin A which assists the liver in flushing out the toxins from the body. It reduces the bile and fat in the liver. The fibres present in carrots help clean out the colon and hasten waste movements. So either you blend or chew it. It Still contain the source of benefit to the body. Carrots is a vegetable so eat 1/2 kg a day or 1kg it could be tries a week to keep you on point. I was telling a friend that I juice the fresh carrots everyday and it helps me with the vision, however the other friend of mine told her that carrots is rich igien sugar and it is not good with people who are diabetic. Is it true? 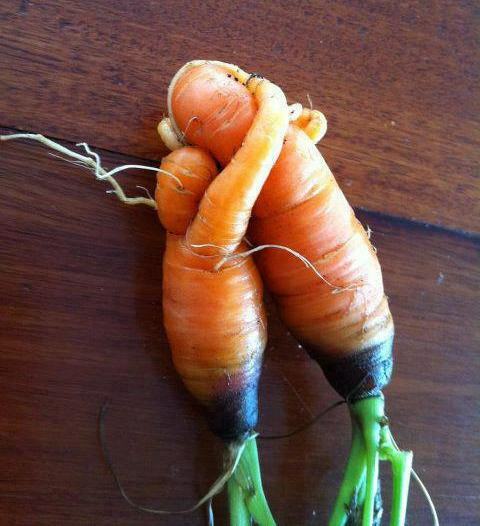 Comment…is carrot good for candidaicies, pls also can carrot help a man to impregnate a woman. Rabbits love to eat carrots but they shouldn’t eat too much. 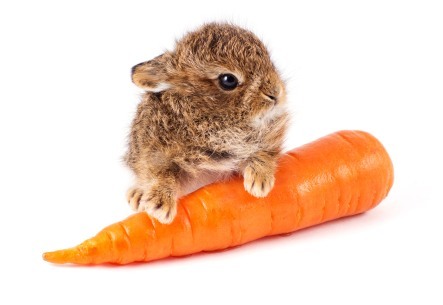 … you have written everything right in this topic ..i have also two rabbits and they eat 6 carrots daily 2 carrots at a time .. they are too much cute … one day i was busy i my brothers wedding ceremony and i forget to give them food …. they eat our half traditional woven bed in the garden … hahaha they are too much funny .. please can you notify me when you ever upload any post about rabbits ?